Tanzania’s president Jakaya Kikwete met David Cameron at Downing Street earlier this month. A British couple aim to take Tanzania to an international arbitration court after they were forced to flee following what they say was a campaign of harassment and intimidation, including death threats. If it goes to court, the case could prove embarrassing for the UK and Tanzania at a time when the British government is promoting private investment in the east African country. 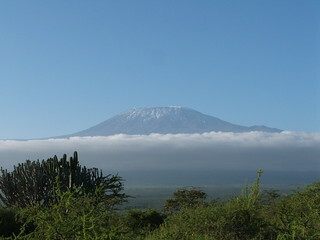 Sarah Hermitage and Stewart Middleton bought the lease to Silverdale farm in the Kilimanjaro area from Benjamin Mengi, a businessman, in 2004. Hermitage, a solicitor, and Middleton, an agronomist with extensive experience in Africa, planned to make the 216 hectares (533 acres) of prime farmland their home and business. Silverdale employed about 150 people to grow green beans, baby corn, seed maize and coffee beans. The following year, Mengi disputed the acquisition of the lease of £67,474, paid in two instalments, claiming that the assignment of the lease agreement was “null and void”. The couple say Mengi began threatening them, damaging their property and intimidating their staff. As Hermitage and Middleton prepare to take their multimillion-dollar case to the international centre for settlement of investment disputes at the World Bank, the UK is pressing ahead with commercial ties with Tanzania. Jakaya Kikwete, Tanzanian president, met David Cameron at Downing Street in early April as part of a trip to talk up his country as a destination for British companies. This followed a visit in November to Tanzania by Justine Greening, the international development secretary, when she and Mizengo Pinda, the Tanzanian prime minister, announced a “high-level prosperity partnership” to encourage closer bilateral commercial ties. Sir Roger Gale, Conservative MP for North Thanet in Kent, whose constituents include Hermitage and Middleton, has lobbied successive Foreign Office ministers for Africa over the years and is incensed that the British government is encouraging British companies to invest in Tanzania despite what happened at Silverdale. In response to Gale’s queries, in 2009, the Tanzanian high commissioner in London claimed that the “police investigations did not find any evidence of threat on their [Hermitage and Middleton’s] lives” and “police and anti-corruption bureau investigated the allegations but none was proved true”. Various British high commissioners have sought to press the couple’s case, but Gale believes the Foreign Office should have done more. Hermitage and Middleton have also found a stalwart supporter in Edward Clay, the former high commissioner to Kenya, who famously spoke of gluttonous Kenyan officials “vomiting over our [donors’] shoes”. Clay wrote several letters to Greening’s predecessor, Andrew Mitchell, on the couple’s behalf, and is critical of the international development committee (IDC) for not flagging up Silverdale. In another twist to the saga, Benjamin Mengi’s brother, Reginald, a media magnate, brought a libel case against Hermitage in the UK in 2012 in connection with Silverdale. Reginald sued Hermitage in the high court after she had written and made public five blog posts and two emails concerning an alleged defamatory campaign waged against her and her husband during their legal dispute with Benjamin Mengi. Reginald Mengi claimed that he “was not responsible, not accountable and not answerable” for the editorial content of newspapers controlled by his company, IPP Media. Mengi did not respond to requests for comment from the Guardian. Who is Tanzania president Kikwete fooling with his resignation announcement? Posted on 20th April 2014 by newsafrica. This entry was posted in Africa, Corruption, Economy, Mining, Tanzania, Tourism, United Kingdom and tagged Africa, David Cameron, Edward Clay, IPP Media, jakayakikwete, Middleton, Reginald Mengi, Tanzania. Bookmark the permalink.